To best protect your pet's health and overall well-being, we offer a broad range of veterinary services to our clients and their pets in the Omaha area. While our focus is on disease prevention and pet wellness care, you can also rely on our skilled and compassionate medical team when your pet is sick. 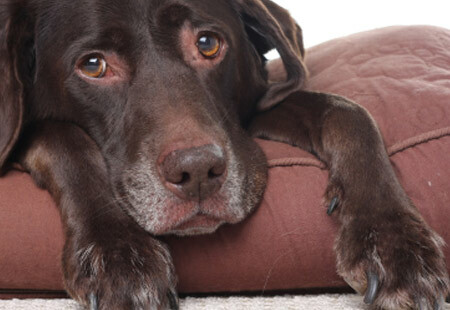 To that end, an important part of our practice is the diagnosis and non-surgical treatment of diseases that can affect your pet's internal organs and body systems. Our experienced medical team, supported by our advanced diagnostic technology, have expertise in diagnosing and treating complex internal medicine cases such as kidney, heart, respiratory, immune-mediated and endocrine diseases. If your pet exhibits any of these symptoms, please make an appointment to have him or her seen by a veterinarian at Omaha Animal Hospital. We will evaluate your pet, determine the most effective method of treatment, and explain how you can prevent future problems. If left untreated, allergic reactions and skin conditions can become serious medical concerns. Our Omaha veterinarians recommend that your pet receive a routine glaucoma exam as part of his or her regular wellness care. The exam is not only an effective screening measure for chronic and acute glaucoma, it can also help set a baseline measurement of your pet's normal intraocular pressure (IOP). Establishing an IOP baseline is important because the normal measurement can vary between species, breeds, and even individual pets. Even with the right training and lots of attention and love, your dog or cat can develop bad habits or unwanted behaviors. Please don't make the mistake of believing that you and your family must live with these problems or worse, consider giving up your pet. Omaha Animal Hospital offers behavior counseling for many of your pet's problems including inappropriate urination or defecation, urine marking, aggression, nipping and biting, separation anxiety, inappropriate chewing and barking, digging, chewing, and introduction of new pets into the household. Causes of behavior problems can be environmental, such as a schedule change or introduction of a new baby or pet; learned, as a result of unintentional positive reinforcement; or genetic. Furthermore, any painful disease or condition, or degenerative changes associated with aging, can cause or contribute to behavior problems. Proper nutrition and a balanced diet, along with fresh, clean water, is an essential ingredient for your pet's overall good health. As your pet's caregiver, nutrition is the most significant health variable that you control. 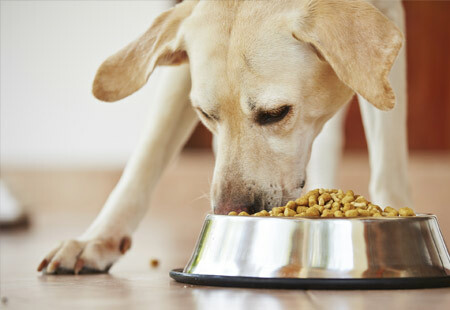 Feeding your pet the highest-quality food you can afford is one of the best ways you can contribute to his or her health and vitality. Although the differences between premium and budget varieties may not be apparent on their nutrition labels, they are in the quality of the ingredients. Both may contain the same amount of protein but be very different when it comes to digestibility and nutritional value. Making the best nutritional choices for your dog or cat not only effects general health, but will improve the quality and length of your pet's life. To support your efforts we will perform a thorough body condition evaluation during every physical examination, and give recommendations based on what we see. We can also provide you with important information on proper serving size, nutrient needs, and feeding strategies for your individual pet. We will also help you navigate pet food claims so you can make the most informed choices. Prescription diets benefit medical conditions such as liver disease, bladder and disease, digestive problems, renal failure, food allergies, diabetes, and more. Our veterinary hospital in Omaha carries a diverse inventory of prescription foods and high-quality nutritional products. If your pet requires a prescription diet we do not carry, we can easily order it for you. 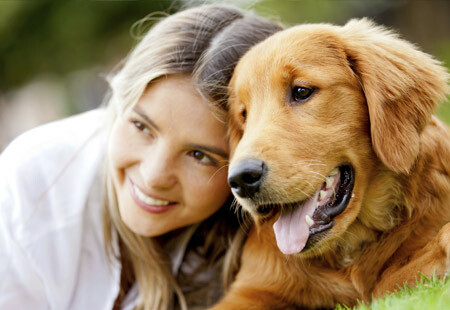 Whether you are an experienced breeder or you are breeding your pet for the first time, Omaha Animal Hospital can help during all phases of the breeding process, from initial planning and consultation all the way through birth and post-natal nursing and management of associated diseases and complications. As a part of Omaha Animal Hospital's comprehensive reproductive services, our veterinarians also treat other problems that affect your pet's reproductive organs, such as vaginitis, prostate disorders, and mammary disorders.